Puzzle Universe | A collection of puzzle-related websites! A collection of puzzle-related websites! The idea behind PuzzleUniverse.com was actually given to me by my good friend Geoffrey, who insisted on having a puzzle-related directory with all our favorite links in one place. After several weeks of programming and coding this site came to life. Puzzle Universe is the ultimate link directory for anyone looking to entertain themselves during their spare time. Whether you are looking for logic games, interesting trivia apps or even crosswords, we will include everything on this website! 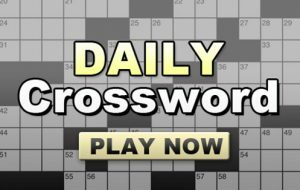 New: Check out all the Daily Themed Crossword Puzzle Answers! Each of the links will include a short description from me. In case you would like to add your site or report a broken link kindly do so by using the contact page. LA Times Crossword Puzzle – You can play this online or from your smartphone / tablet device. No subscription is required. New York Times Crossword – The classic crossword puzzle edited by Will Shortz will definitely keep your brain in form every single day. There is a subscription required to play NYT crossword. The Washington Post Crossword Puzzle – Another very entertaining crossword puzzle which can be played for free. Kings Feature Syndicate Puzzles – A classic collection of various well-known puzzles featuring names such as Eugene Sheffer or Thomas Joseph! 7 Little Words – One of my all-time favorite game apps which I play every single day! (yes they have a daily puzzle game which keeps me busy every single morning). If you are looking to download this game straight to your iOS device then you can do so by CLICKING HERE. 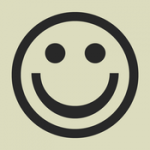 In case you are stuck and are looking for help I would recommend you the guys over at 7 Little Words Daily Answers which have been updating the site regularly with all the answers and solutions for 7 little words! Quiz: How many Syllables are there in the word Puzzle? And now I would like to thank a couple of individuals which I’ve been following since the very first day I started solving crossword puzzles. Of course I wouldn’t be here without their continuous work and support. The following blogs / site have had a great impact in my solving skills and would like to link them as an important resource for anyone looking to solve crossword puzzles. Rex Parker Does the NY Times – I haven’t had the opportunity to meet Rex in person but his work and dedication has impressed me ever since! He solves various crosswords on top of the main one which is the New York Times crossword puzzle. Big Dave 44 – Another inspirational blog I follow every single day run by various exceptional figures of the crossword industry with the main guy Big Dave! Free Crossword Solver – A nicely designed site which will help you solve all the daily crossword puzzle clues. Whether you are stuck on a specific clue or you would like to see their archives, FreeCrosswordSolver.com does the job! Free Anagram Solver – A great tool if you are stuck on specific words and would like to find a variety of words made up from different letters. So as of today, May 11 2016 this is the list of the daily sites I visit once I need to take a break from the various rumblings around me. I cannot promise you when this page will be updated again however in the meantime you can visit Sarah Hasbo’s CrosswordLinks.com directory for a more complete crossword-related sites.